Has The Russian Shipwreck Containing $132 Billion Worth Of Gold Been Found? 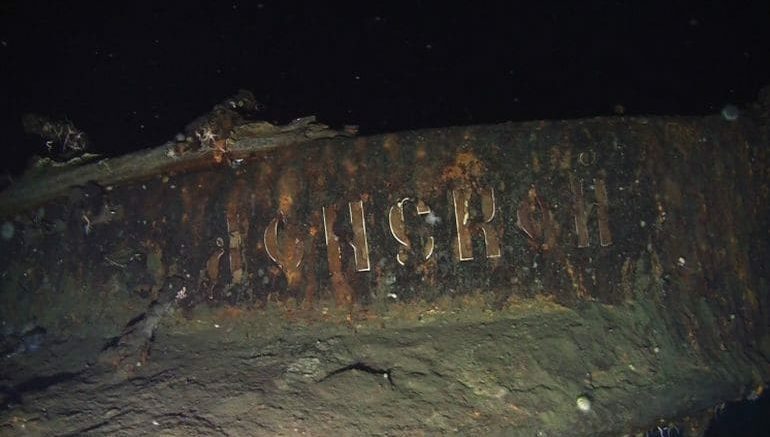 Shinil Group, a South Korean company, has come forward with claims that it has discovered the long-lost Russian warship that went under during the Russo-Japanese War of 1904-05. Damaged in combat, the armored cruiser, called Dmitrii Donskoi, sank off the South Korean island of Ulleungdo. The company has now created a media frenzy with speculations that the vessel could contain a whopping $132 billion worth of gold. Interestingly, this isn’t the first time that a company has made such claims. Earlier in 2001, Dong-Ah Construction announced that it had found the wreckage, claiming that it held 14,000 tons of gold. While its share price jumped by 41% in the first week, the South Korea based salvage company later filed for bankruptcy, having failed to deliver on its promise. Later in 2003, government-funded Institute of Ocean Science and Technology (KIOST) also claimed that it had located the warship. The institute currently has photographs of the century-old ship – taken back in 2007 – on its official website. With fresh speculations making the rounds, South Korean officials have cautioned gullible investors looking to purchase stocks from the company to be wary of such claims. On its YouTube page, Shinil Group recently uploaded a video showcasing what appears to the stern and other parts of the Dmitrii Donskoi shipwreck. The photographs of the stern show blurred markings of the ship’s name in Russian, claims the company. According to a media statement, the resemblance between the photographs and the available hull plan of the famous vessel helped the company identify it. Speculating that the Donskoi ship could contain up to 200 tons of gold, the company announced that it has also found 152 mm long-distance guns, 203 mm cannons, wooden decks, armor, a few machine guns and anchors among the wreckage. Built for the Imperial Russian Navy in the 1880s, Dmitrii Donskoi served as a commerce raider in the waters of either the Far East or the Mediterranean. Categorised as a semi-armored frigate, the vessel was designed for long endurance as well as high speed. With its engines capable of producing 7,000 indicated horsepower, the Donskoi could achieve maximum speeds of up to 16.5 knots (around 30.6 km/h). It carried a crew of approximately 550 men. 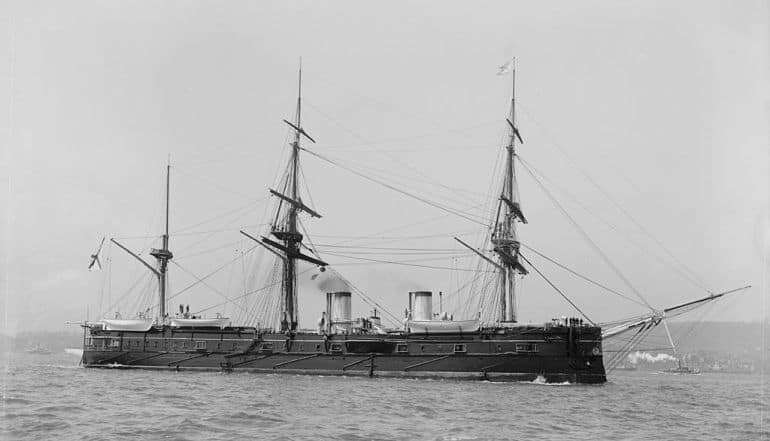 During the early part of the Russo-Japanese War, which was fought between the Russian Empire and the Empire of Japan between February 1904 and September 1905, the warship was assigned to the Second Pacific Squadron. In May 1905, the Russian ships in the Far East were destroyed by the Japanese in what is now known as the Battle of Tsushima. Severely damaged in combat, the Donskoi ship was scuttled off the shore of Ulleungdo by its captain Lebedev. Although the claims by Shinil Group have garnered worldwide attention, according to some Russian scholars, it is highly unlikely that the ship carried so much gold, especially since it would have been far safer to transport it via train. Others believe that with a crew of 550 men, a coal room and several heavy artilleries, there wouldn’t have been enough room on board the Donskoi for 200 tons of gold. Despite the increasing skepticism, the Shinil Group aims to retrieve the wreckage from approximately 400 meters (0.25 mile) below the water surface. However, the company is yet to seek the government’s permission for such a mission. Once the relevant authority gives its approval, the company will have to deposit 10% of the shipwreck’s estimated worth, which in this case would be around $13.2 billion. As per its spokesperson, however, Shinil Group has so far only discovered the wreck and not the gold it allegedly contains. Given that the shipwreck itself is valued at $1 million, the company plans to deposit just over $100,000. Questioning the legal authority of the company to undertake such a mission, Kirill Kolesnichenko, an associate professor and military historian at the Far Eastern Federal University in Russia’s Vladivostok, said that the Donskoi shipwreck is a Russian war grave and probably contains the remains of numerous Russian sailors. Any attempt to salvage the wreck should, therefore, be approved by Moscow, Kolesnichenko added.